I went out to Hobby Lobby today to get some watercolor paper that was different than what I already have on hand at home. Today I got some Canson XL Bristol Watercolor Paper which is much whiter & brighter than the other Canson XL I've been using. It's important to note a few things, however. The Bristol variety in this particular Canson paper is a 96# paper and not the 140# I've been using. I did not see the Bristol in 140# at all. I think it will be okay now that I've learned how the water and the color work together and I won't over saturate the paper. This afternoon I started by stamping my image in Versamark and heat setting it using Simon Says Stamp Ultra Fine Detail Gold Embossing Powder. I had mentioned in a previous post that I felt like my embossing powder was not very good. Today's mail brought my package from Simon Says Stamp which included two new types of gold embossing powder; Ranger and Simon's. When I stamped my image on the "new" Bristol Card Stock, it melted quickly and smoothly. Then it occurred to me that maybe it had more to do with the paper than the embossing powder. So I stamped the same image on the 140# Canson with the same "new" embossing powder and it again took a lot more time to melt it than it did on the 96# paper. I let my heat tool warm up for about 30 seconds before taking it to my paper to help prevent warping. But when I used the original embossing powder which is from Judikins, it takes about twice as long to melt. The gold embossing powder is the only one that I've had a problem with. I did get a Ranger Gold Embossing Powder but I haven't tried it yet. I want to be able to make a fair comparison so for today I limited it to the original Judikins Gold Embossing Powder and the Simon Says Stamp Gold Embossing Powder. I was really happy with how well the Simon Says Stamp brand worked. One of the things I tried the other day was to combine some of my silver with some of the gold into an empty container since I had noticed how quickly the silver melts. This was ineffective and just made it so I have more of the not so good powder. It's all right. I will use it eventually but you can be sure I won't buy that type of gold embossing powder again. Now, on to today's project! I'm finding that I enjoy watercolor so much that I look for stamps and dies that make coloring possible. I have some smaller Japanese Peonies from Altenew that I really love, but I also like how big this one is and I am really loving how smooth the Canson Bristol paper is. A friend asked me one day what was the worst part of water coloring and I replied that it ended too soon -- Ha! This is from the Bird Blossom set by Stampendous. It also has coordinating dies. I used Tim Holtz Distress Markers in Picked Raspberry to color the pink flower, Abandoned Coral for the coral flower and Seedless Preserves for the purple flower. When the Seedless Preserves first goes down it seems a very boring sort of purple. Once you add a little water, the magic happens and you get this pinkish purple which is my absolute favorite color. Creative Memories used to have a paper this color called "Thistle". It was and is my all time favorite and I absolutely love it. It hasn't been available for years so I'm hoarding the small supply I have. I guess I'm going to have to take a more active role in suggesting colors to my favorite stores by sending them samples of those colors that just aren't out there right now and are no longer available from the original source. I need Cameo Coral, Thistle, Eggplant and the list goes on. When I was at Hobby Lobby today I noticed a bottle of the Distress Stain in the Seedless Preserves and I grabbed it up because I am kind of hard on my markers. I don't intend to be, but I am. With the stains, they have a little sponge dauber on the top of the bottle so you can just touch that to an acrylic block to get your color and then mist it with however much water you like or dip a water brush into the color. I try to start fairly light and then build intensity where it would normally appear in the shadows. I'd like to try a few of the Zig Clean Color Real Brush Markers which have an actual brush tip vs. the kind of hard felt tip that other brush markers have so I've started a list of a few colors I'd like to try. Just as I have with my Distress Markers, I will get a few at a time. Anyone who wants to try to watercolor with inks can use any type of water based ink or reinker you already have with a water brush or a regular small paint brush and some clean water. The water brush I'm using I've had for a number of years. You can also use any of the water based color sprays that are out there. The distress inks and stains are made to work with water, so they are particularly well suited to this technique. I always love some shimmer and shine on my cards, but one thing I've learned is that it detracts from the visible watercolor technique that I'm using on my images. You can't really see the different layers of watercolor that I've put in if I use other products like Wink of Stella or Perfect Pearls although I enjoy those too. I think it would just depend on who I was making the card for. If it was for a fellow papercrafter, I think I would be more technique driven than a regular card. Everyone enjoys getting a handmade greeting card. I also think that everyone has to find and do what works for them. It takes me only about 15 minutes to watercolor a single image but I try to add in more layers because I enjoy it so much. You can see the shimmer that is on this colored image. I used Interference Red Perfect Pearls for the flower and Forever Green for the leaves. It is pretty but I don't really think you can tell it is water colored any more. I also used Tumbled Glass Distress Marker for the "Halo". One of the things I've learned for water coloring flowers is that it is super helpful to keep your brush strokes going in the same direction as the petals do and only work on one petal at a time because they all point different directions. Also, since I'm actually using ink, I can't really do more than one small area at a time. You can spend as much or as little time as you want coloring your images giving a soft wash of color or you can try to make them as realistic as possible. Like I said, I enjoy it so I try to stretch it out as long as possible. I'll did manage to get one of these watercolors made into a card. I have a sick friend who'll need some cheering up in a day or two. 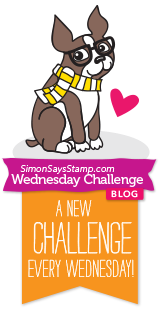 The Simon Says Stamp Wednesday Challenge Blog theme this week is "Anything Goes". Today's card is very quick! 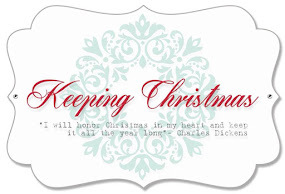 Last night I set out to create another Christmas Card using some stamps and dies from Altenew along with another of my sentiments that came from the Papertrey Ink set that I used a few days ago. I stamped several images on a larger piece of Canson XL 140# Watercolor Card Stock and heat set them using Simon Says Stamp Ultra Fine Clear Embossing Powder. I opened my set of Gansai Tambi Watercolors because I knew I would want varying shades of red, green and even some brown. After I had watercolored all of the images, I started trying to pull my card together. I had Poinsettias, Pine Branches, Pine Cones, and some Mistletoe. In the end, I saved all of the pieces, but I only used one lone little sprig of Mistletoe. The greeting is simple and elegant in Gold Foil Card Stock. I used a Glimmer Mist from Tattered Angels Kiwi to color the front panel. I don't have any card stock that is that light and I wanted a soft green this time. It somehow feels very gentle with the soft color, the clean and simple design and the sheer white bow. 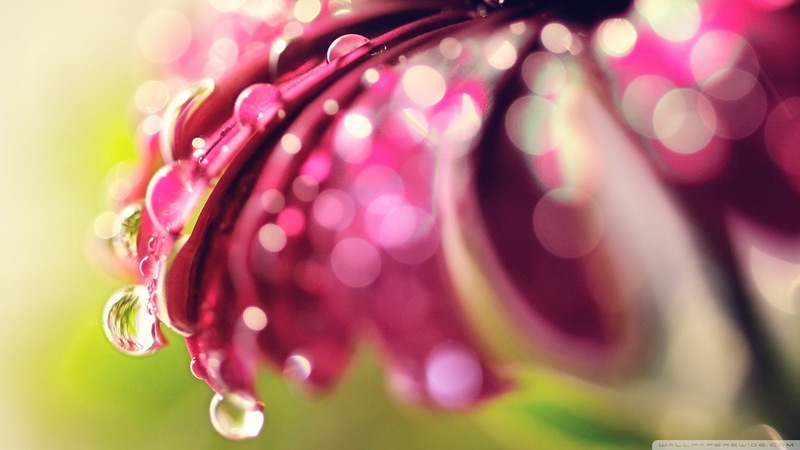 You can make your own shimmer spray with Perfect Pearls Pigment Powder, a few drops of reinker and some water in a little spray or spritzer bottle or you can mix a little of the Tsukineko Sparkle Sheer Shimmer Spritz with a few drops of color as well. It's all personal preference. I used my Versamark Pen to make the three little white berries with some Pearl Embossing Powder from WOW!. I did that twice for the added dimension but if I could have found my little white pearl embellishments, I would have used those. Of course, I found them afterward-- LOL! I used a Micro Glue Dot to attach the bow to the mistletoe sprig and then again to attach that to my card front. The pale green panel was cut with the Simon Says Stamp Stitched Rectangles Die in the largest size. Lately I've been liking only a very narrow frame around my front panels so that means I have to cut my card base down a little bit. No big deal, I just use a T-Ruler to mark one end with a pencil and then I cut just inside the pencil line to remove it. Have a great weekend everyone. I always enjoy reading them if you would like to leave a comment. Today's blog post is another card for the Simon Says Stamp Monday Challenge which is having a Throw Back theme. I threw all the way back to 2013 for this challenge which was "Countdown to the Holidays". Every year, my husband's family gathers for a family Christmas Dinner. We book a lodge for this event on the weekend before Christmas and everyone near and far does their best to be there on Sunday for the dinner. With six children in the family and their spouses we have a small crowd. With our kids and their kids? Well, we're numbering in the higher double digits. Each of the siblings and their spouses takes turns hosting and this year is my husband's and my turn. By now many of us have grandchildren that are getting older and in fact, our oldest grandson got married last month. This means we have the potential to become great-grandparents in the not too distant future. This both delights and scares me! I love being a Mimi, though, so whatever happens, it will be okay. While I have been scrap booking for nearly two decades, I only started making cards this year and not even at the beginning of the year either. I think I got pretty serious about it in May and it's been a constant learning process and whirlwind ever since. But since I've started card making, I decided I would create handmade cards for all of my Brothers & Sisters-In-Law this year and I am not one to procrastinate. Our gathering is less than 8 weeks away. 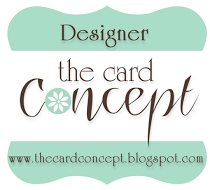 I want all of the cards to be similar in appearance, using the same design elements and embellishments. So to that end I started this project today. I love snowflakes! They are like diamonds, with no two ever exactly the same. Each one is unique and beautiful and I marvel at the way they look. 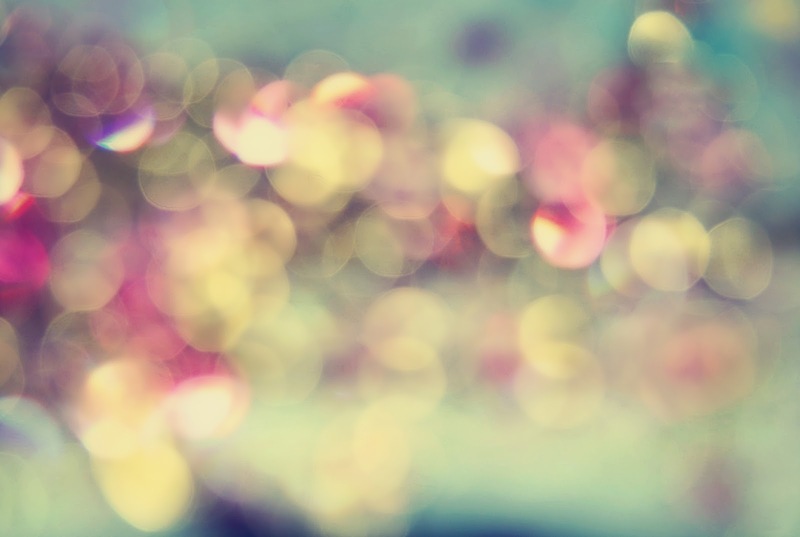 They shine and shimmer in the light. I wanted to capture as many of those characteristics as I could in my card. 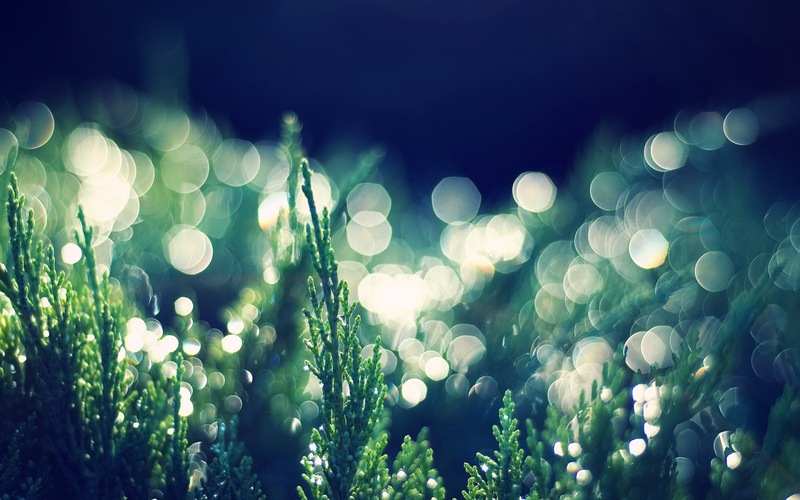 I also wanted an evening or night sky so the snowflakes would catch in the light and shine in unexpected ways. I started with a 4.25 x 5.5 inch Simon Says Stamp 120# White Card Stock. I like to use this heavier card stock when I plan to do some ink blending as I'm not as likely to catch the blending tool on the edge and bend it up. I used a SU! stamp set called "Snowflake Soiree" and laid them out on my 4 x 6 acrylic block leaving room at the bottom third of the panel for my Sentiment Die Cut. I like the Inkadinkado Blocks with the side grips for my fingers. I've searched online everywhere today, but I have been unable to locate where this die came from. I thought it came from Papertrey, Ink. but they don't have this die. There are two others in the set of three including "Love" and "Joy". If anyone knows, please tell me! ETA: It did come from Papertrey, Ink but is no longer available! I stamped all of my front panels and heat embossed them using Simon Says Stamp Silver Fine Detail Embossing Powder. Using Rich Razzleberry and Pacific Point Ink with a Mini Ink Blending Tool, I inked up each front panel. The color begins fairly soft but the more blending you do, the deeper the color becomes. Next I sprayed each panel with some Tattered Angels Glimmer Mist in Pearl. While that was still slightly damp, I took a pinch of Iridescent Sparkle Embossing Powder and kind of sprinkled it over the front panel leaving a touch of sparkle on there in much the same manner that you would a season a dish you were cooking. To speed up drying time and to set the tiny bit of iridescent powder I heat set it again. After that, I die cut the panel using the Simon Says Stamp Stitched Rectangles in the largest size and cut my sentiment from DCWV Silver Foiled Paper then attached it to my card front using Ranger Multi Medium Matte. I attached that to my white A2 card base using my Tombow Mono Permanent Adhesive. Occasionally I will create a very fussy card with lots of layers and some distressing but overall I prefer a clean and simple design that enhances the elegance of a card. I hope you enjoyed today's project. I'll return soon with another one but meanwhile, please feel free to leave me a comment. I promise, I read every one of them. ETA: I got a comment on this post several days after the original letting me know that these dies are still available at Papertrey Ink under the category "One Liners". The three of them are $14.00 which is a great price for such beautiful and intricate dies. I sat down in my studio yesterday for only a few hours. The night before I had made snow speckles on some light purple paper, so I knew that I would be able to assemble 4 cards in pretty short order. I made the "snow" using Copic White with some water and Perfect Pearls Pigment Powder in it. Using a #2 Script Brush, I tapped it firmly above my paper until it resembled snowfall. Then I walked away for the evening so it would have a chance to dry. When I returned last night I set about making my actual cards. I had several different parts of the cards ready to go. The background panels were already cut, the greetings heat embossed, the bows tied, snowflakes cut, etc. Technically, I should have been able to make 4 identical cards, but I just don't seem to be able to do that even though I had all the same ingredients sitting on my table ready to go. It's okay though! My cards are handmade, not Hallmark so each one is going to be just a bit different than the previous one. That makes them more special. Three of these cards use the "messy thread" technique although mine is not too messy. I made a special trip in to town yesterday to buy a spool of gold thread and one of silver. Now when I say "in to town", I just happen to live outside of the city limits and in a different county than the zip code my address belongs to. This definitely has some advantages. But, Walmart in town is only 5 miles away - literally! I found a couple of other things to buy as well. Who knew you could get a 4 inch tall container of glass seed beads at Walmart for $1.47. I picked up two of those also; one in silver and one in gold. I plan to try making a shaker card later this weekend and these will be great for that. Not to mention that I can make at least 25 cards using each color with the amount of beads I got and I don't have to feel bad about the few cents it cost me to do it. Plus, there was the confetti in iridescent and silver. Those two colors will work with about any color of shaker card I might want to make. I would feel bad if I paid much money for a technique that might not work, so this way there are no worries. Anyway, I got off track for a bit there, but I found a few things more than just the thread I was going for. So now I have better quality thread than I did previously for the Tie-It-Up Challenge over at Simon Says Stamp's Wednesday Challenge. I did actually like this thread much better than the other one I already had that was iridescent. This new thread is silkier and just seemed nicer over all. It is shiny as well, which just makes it seem more festive. And the big plus is that it is much easier to handle. These cards are pretty straight forward. I have yards and yards of ribbon here, so I just had to hunt for the ones I wanted to use. The background panels were die cut using the WPLUS9 Sunshine Layers Die. I used the same snowflake dies that I did previously which are Simon Says Stamp Exclusive Snowflake Dies called Rylynn, Eliza, Kate and Alexis along with the Martha Stewart Punches I have in Alpine, Himalayan, and Glacial. Simon's Nadine and Kinley snowflake dies are on my wish list. They have a good variety of snowflake dies and several bundles as well that contain a variety of sizes. All of the greetings were heat embossed with Judikins Fine Detail Silver Embossing Powder which melts faster than any other embossing powder I have. I have learned to let my heat tool warm up for about 20 seconds before I take it to my paper which decreases the amount of warping on vellum. 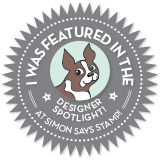 I also have a bit of Simon Says Stamp Silver Embossing Powder which embosses nicely too. After assembling the cards, I gave each one some sequins in clear and purple or I also had some snowflake sequins. The purple paper I used is called Wisteria Wonder and it came from Stampin' Up! When I run out, I am going to get the Simon Says Stamp Lavender Card Stock. I have no idea what I am going to work on for the rest of the day, but I'll tell you all about it when I figure it out. Have a great Saturday, everyone and thanks for stopping by. 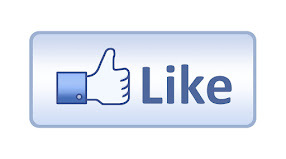 Please feel free to leave a comment as I always love that! Today I set out to create a Halloween Card for 3 of my favorite little boys using the Simon Says Stamp Wednesday Challenge as my color inspiration. Their Momma loves Halloween and I know she will also enjoy this card. I tried some new techniques that I've seen done but hadn't ever tried myself. I will definitely try this masking technique again. I took a 4 x 5.5 inch water color card stock and planned out my scene. Next I used a piece of 2 inch wide Post-It Tape to create the landscape. I have found Post-It tape to be a great resource for masking etc. and I use the pieces over and over again with my die cuts until it will not stick even one more time. I just did a free hand cut with a couple of swells to mimic a hilly ground. I saved the top part of the Post -It Tape for when I needed a mask so I could ink up the grassy part. I cut a good sized circle out of a piece of card stock and adhered it using temporary adhesive where I wanted my moon to appear on the panel. Using a Ranger Mini Ink Blending Tool with Night of Navy, I went in a circular motion beginning at the top of the panel to lay some ink down. I wanted the sky to be lighter at the top and darker near the ground. As I moved towards the center of the panel I continued with the Night of Navy and then to deepen the intensity, I added Elegant Eggplant over the top. This gave me the night sky I was seeking. Next, I removed the lower mask and pulled out the top part to mask the sky I had just made. I took my time and lined it up carefully. I used Garden Green to color in the grassy area and added a bit of Night of Navy over the green to make it darker just as it would be in the night sky. Next, I removed the mask from the moon, inked up the bare tree from the Sheltering Tree SU! set using Versamark then heat set it using Ranger Super Fine Detail Black Embossing Powder. I cut three very small ovals to make up the pumpkin and added a leaf from something I had previously cut. I heat embossed the greeting in Ranger Opaque White Embossing Powder on a strip of black card stock and cut the swallow tail ends on the left side. I attached that using foam squares for a bit of dimension. That panel was attached to a mat of Eggplant card stock and then onto an A2 white card base. When I was finished, I remembered a Wrought Iron Fence Die that I've had for quite a while. It never seems to be the right size, but it was absolutely perfect for this card. That's it for today. For not having any Halloween type stamps sets (only the greeting) I think this card turned out very well. Please feel free to comment or ask any questions you may have. Have a great rest of the weekend! For today's card, I took one of the many images that I have recently colored using Tim Holtz Distress Markers and finished with my Wink of Stella Clear Shimmer Brush Pen. 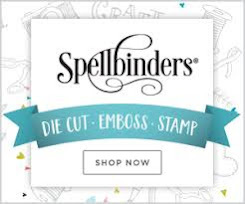 This image is from Clearly Besotted's Beautiful Friend Stamp Set and has a coordinating die. After stamping my image on Canson XL 140# Watercolor Card Stock, I heat set it using Simon Says Stamp Ultra Fine Gold Detail Embossing Powder. I colored the image with Abandoned Coral, Mowed Lawn and Gathered Twigs. These are super simple to take a few to color when you are on the go. You can literally throw three markers, a few embossed images and a water brush in to a stamp pocket and toss it in your purse. The stamp pocket helps to keep everything nice and clean. I buy the Simon Says Stamp brand of Stamp Pockets because the thickness feels identical to the Avery Elle Pockets but I get twice as many for only one dollar more. I had previously cut a few of these Impression Obsession Butterflies in a peachy-coral color with some vellum top layers so I grabbed one out of my container that I keep spare parts in. I always cut the antennae off of the solid butterfly image and just keep them on the vellum layer so it doesn't look like my butterfly has 4 antennae. I use a marker to make them black. I attached the layers as I usually do by putting Ranger Multi Medium Matte down just the center of the butterfly's body to attach the vellum layer. Using my fingernail or my bone folder, I gently curve the tips of the wings on both layers so that they are pointing slightly downward. I use a foam square cut in half lengthwise under the butterfly's bottom layer to attach it to my background panel and then a smaller piece of foam adhesive under the tip of each wing. The rear of the butterfly I attach directly to the card base using Ranger Multi Medium Matte or you could also use a glue dot. This card panel is cut with my largest Simon Says Stamp Stitched Rectangle Die in Cameo Coral, which is another discontinued SU! color. I took 3 foam squares and cut each of them in quarters to use in attaching the floral image to the background panel. You always need to put a little of the foam adhesive in the center of whatever image you are attaching so it doesn't "cave in" at the center. Next I cut three of the "Dream" die cuts and stacked them up so I would have a nice, dimensional word. This die cut came in a set of three words from Little Yellow Bicycle at Hobby Lobby but the only place I've seen it since I got mine is Amazon. The bottom two layers are just scraps of watercolor card stock and the top one is from some scrap pieces of watercolor paper that I had painted. I try to always look at and utilize my scraps. If something is a nice color or special in some way, I try to find die cuts that I can use with it. I sort my scraps by color families from time to time when the pile near my Cuttlebug starts getting too big. I cut a thin strip of Gold Glitter Cardstock and started assembling my card. For the word "Dream", I put a tissue underneath it and added a layer of Wink of Stella and then Ranger Glossy Accents on top, setting it aside to dry for about an hour. When I came back, it was ready to attach to my card. Using Ranger Multi Medium Matte, I adhered it and held it down for a few minutes so it would not come loose. I could have set some acrylic blocks on it, but my hands were free for a few minutes Ü. I love the simple but elegant touch that just a narrow strip of glitter card stock makes on a card. This is a tip that I picked up from Jennifer McGuire and I find it works often when you need just a touch of something more on your card. I considered sequins, but I like this option better for this card at least. I made another card today for the Wonderful Watercolor Challenge over at the Simon Says Stamp Monday Challenge Blog. Since I just went into a ton of detail yesterday, I am going to try to keep it simple today. The card base is made from a pale pink card stock cut to 4.25 inches x 11 inches and top folded at 5.5 inches. The Green is Wild Wasabi cut into the scalloped & stitched panel using the Sunshine Layers Die by WPLUS9. The background panel was water colored using Abandoned Coral and Worn Lipstick Distress Inks then cut with the Simon Says Stamp Stitched Rectangles. The floral branch is from the same Clearly Besotted Beautiful Friend Stamp Set I used yesterday and then cut with the Beautiful Friend Coordinating Dies. Using Distress Markers I colored the flower first using Abandoned Coral for the base layer of color. Next I added in more color with Worn Lipstick marker. The leaves were all colored with Mowed Lawn Distress Marker. After coloring the image I applied Wink of Stella in clear on the flowers and leaves. The greeting is made from 4 die cuts stacked and glued on top of each other for added dimension. The floral branch was adhered to the background panel using Ranger Multi Medium Matte as was the sentiment and the sequins. The rest of the pieces where adhered with my ATG Gun. After I assembled the card, I decided I wanted some sequins for that touch of whimsy. This card uses Pretty Pink Posh Watermelon 6mm cupped and an 8mm green from the Go Green Collection. Since I already had the image colored and the background water colored, it took only a little time to assemble everything. Have a great day! Leave any questions or comments below and thanks for stopping by. 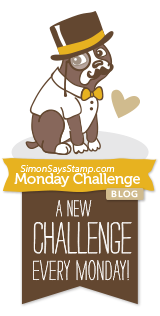 This week's Simon Says Stamp Monday Challenge is Wonderful Watercolor. This is such a huge trend right now in the paper crafting industry and it's also one that I personally love. My favorite medium for watercolor by far is using Distress Inks either in the form of Distress Markers or Distress Re-Inkers mixed with a bit of water. Pearlized water can be made made by adding some Perfect Pearls Pigment Powder or you can use Tsukineko Clear Shimmer Spray. I have a few colors of the Perfect Pearls but I really only ever use the Pearl Colored Pigment for this technique. All 57 (the current #) Distress Inks were formulated by Tim Holtz and Ranger to activate or reactivate with water, even after they are dry. They are non-toxic, fade resistant, and water based. They work great for hand coloring line images, or giving an authentic vintage feel to your other projects. They come in Ink Pads, Markers and Re-Inkers. All of these are available at Simon Says Stamp. For this card I had a background panel on hand from when I took my Online Card Class - Watercolor -- Exploring Mediums. This particular panel was done using Kuretake Gansai Tambi Watercolors on a Canson Watercolor Paper in 140# weight. I have the set of 36 which includes two different colors of gold pearlescent shimmering paint and a white pearly one as well. There are smaller sets available in 12, 18 and 24. I treated the paper afterward with a Tsukineko Shimmer Solution misting a light layer a couple of times so it didn't warp my paper. This particular water color paper is a soft ivory color vs. some papers that are whiter and brighter. I like both options. I wanted a teal color with a bit of a bluish green all tangled together for this background. I was trying to see if I could maintain 2 separate areas of color but with no hard lines. It's hard for me to be patient and let the water do it's work, but I did succeed here and on a few other panels as well. Since I didn't want hard lines, I just used a bit of paper towel to pull up the extra color and moisture as the colors were drying. It's a good idea to have a bit of paper towel or tissue along with a bit of water when you sit down to watercolor. You can fix virtually any mistake made in your watercolor by adding clean water to the "messed up" area and sopping that up with a bit of tissue or paper towel until it's clear again. I get outside the lines from time to time and this is an easy fix so far. I'm sure it helps that my canvas is small. The Scalloped Stitched Rectangle panel I had also done previously using Tim Holtz Mini Ink Blending Tools and Island Indigo Ink. Like always, I hang on to spare parts & pieces to see if I can use them on something else at another time. The Simon Says Stamp Stitched Rectangles I use on almost every card I make in one size or another. I like to buy dies that I know I will use over and over and this fits the bill for me. The floral image is from the Clearly Besotted Beautiful Friends Stamp Set and was stamped using Versamark with Simon Says Stamp Gold Ultra Fine Detail Embossing Powder and heat set. 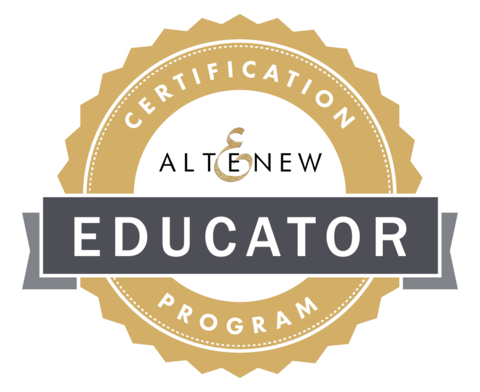 I normally use clear embossing powder, but I wanted something a bit different and the gold adds a touch of elegance. This set also has the Beautiful Friends Coordinating Dies. I used the Tim Holtz Distress Markers in Broken China for the flowers and Mowed Lawn and Pine Needles for the Leaves. Gathered Twigs colored the branch. I applied my color directly to the image in very small areas one at a time and blended that color out using a Water Brush. I always pull or push the color in the direction that the leaves or petals are going. After it's dry I go back in with another layer or two (or three) to add depth to my color for a true watercolor look and feel. My last layer is usually some Wink of Stella or a solution of Perfect Pearls. My husband and I traveled this past weekend so I took some images with me to color. Since the water was contained in the handle of my brush and the color was contained in my markers, I had no problems doing this in the car as long as we were on the interstate. Curvy, hilly, rural Missouri roads would not be conducive to success, so I didn't attempt it. While I do have other mediums available to use, this is hands down, my absolute favorite! The transparency achieved with Distress Inks is just beautiful and second to none. Wink of Stella comes in approximately two dozen colors but you could go broke trying to buy and keep one in each color. Since I'm adding color with markers first, I only have the Clear Wink of Stella brush pen. From time to time I also use a Water Brush with some Gold Shimmer Spray in the barrel for coloring, but I normally only use Clear Shimmer Spray. You can also use any of the shimmer sprays you may already have on hand. You just need to play a little bit to find out what your spray does with your type of color and get predictable, repeatable results. When I searched for shimmer mist at Simon Says Stamp, it popped up 62 of them. Use whichever one you like and gives the results you want. I used a Simon Says Stamp Exclusive Sending & Wishing Die Set for the "Sending" greeting. The "love" die came from a different set by Little Yellow Bicycle. For a final touch to my card, I cut some of the Simon Says Stamp Holiday Shapes - Hearts & Stars Die with some Gold Glittered Card Stock scraps. I assembled the card panels to the ivory card base using my ATG Gun. I've mentioned before that you cannot move anything with this adhesive on it once you press down, so make sure you have your image lined up on the panel. I do get one a bit crooked from time to time, but as has already been said, "It's Handmade, not Hallmark". I think people care more about actually getting a card than they do about whether or not it's a fraction of an inch crooked. The ATG Gun is a very cost effective adhesive but not suitable for everything I do. The hearts were adhered using Ranger Multi Medium Matte. If a bit oozes out from the side of the embellishment, it dries to a matte finish and is invisible. It is a great, very strong adhesive for any type of embellishment. I have several projects on my To-Do-List right now, so I'll be back soon with another card. Thanks for looking and feel free to leave a comment. It always means a lot to me when people take time to comment. Whenever I sit down to make a card, I almost always pull "spare parts" from my work surface. I always have spare parts because not everything that I create in my mind works out in the practical application but I can usually use it in some other way or on a different card eventually. I have a little dish on my table that I put these things into as well as a stack of backgrounds that didn't come out how I wanted on the original project. Sometimes I am just experimenting with a new technique a few times to see if I can repeat the process. I'm actually getting better at that part. Today's cards are super easy ones. I embossed the image using Versamark on Canson 140# Watercolor Paper and heat set it with Simon Says Stamp Clear Embossing Powder then water colored it using Tim Holtz Distress Markers in Abandoned Coral, Mowed Lawn & Gathered Twigs. For the halo effect I used Tumbled Glass. I'm still in the process of trying to determine how much color I want in my halo and that seems to change from image to image. I think that's probably as it should be. Originally I thought I would like using the textured side of the watercolor paper but I am totally devoted to the smooth side by now. I had a red and coral background from the other day when I was trying out the "smooshing" technique so I cut that as the mat for the water colored image. Then I attached that to a 4 x 5.25 SU! Cameo Coral stitched rectangle using Ranger Multi Medium Matte. I'm pretty sad because that color hasn't been available for quite a while and when I use up my stash, I won't be able to get any more. That color has just a bit of pink in it and I love it. I used a Simon Says Stamp Stitched Rectangle, and the two largest My Favorite Things Stitched Ovals. I love all of the stitched dies that I have and there are some double stitched dies on my wish list. The "smile" die came in a set of 3 words made by Little Yellow Bicycle. I've never seen them again anywhere but they are among my very favorites and they cut like butter. For the other two cards I made today I wanted kind of a matching set. The floral images are from the Clearly Besotted Beautiful Friend Stamp Set. There are Beautiful Friend Coordinating Dies as well. That is my very favorite thing that has been happening in the paper crafting world. So many stamp sets these days all have coordinating dies. In fact, I try to purchase only the ones that have coordinating dies. Water color is definitely an art form that you can spend as much or as little time as you want on it. I have a tendency to overwork an image and when I do that, I tend to not like the outcome. The leaves are okay, but I wish I would have obsessed less on the flowers. It was a good lesson for me. I used Tim Holtz Distress Markers in Worn Lipstick, Mowed Lawn, and Gathered Twigs for these. The pink scalloped and stitched rectangle is another SU! color that is no longer available called Regal Rose. The gold mats are pieces of foiled cardstock that were cut using my favorite die, the Simon Says Stamp Stitched Rectangles set. Both cards have been mounted to a 4.25 x 5.5 top folding landscaped card. I actually found this paper at Michaels and it is a heavy weight 100# super smooth card stock. It was a ream of 250 sheets so I have enough to last for a few more days at least. I am very late getting this post up and I wrote all but this paragraph last Thursday. With our Grandson getting married on this past Sunday the 11th, I had too many things to do to get ready for our trip. It was a beautiful and very touching wedding and we had an awesome trip. I love reading your comments, so don't be shy!